System Five gives us the ability to check profitability on a per item basis. This can be done by opening an invoice and using the features indicated in Figure 1. To review and/or alter the profitability of the item on a per line basis the %Disc button to the right of the items is used. A panel as shown in Figure 2 will open. 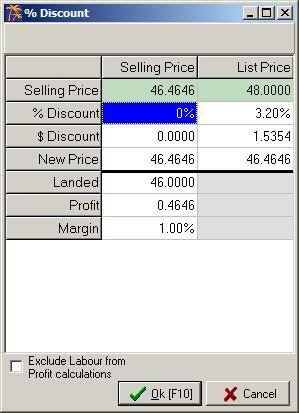 The %Discount, $Discount, New Price, Profit and Margin amounts can be altered as needed when analyzing the profit that will be generated for the sale or to discount a sale to a comfortable profit margin. The same analysis can be performed on an invoice level. 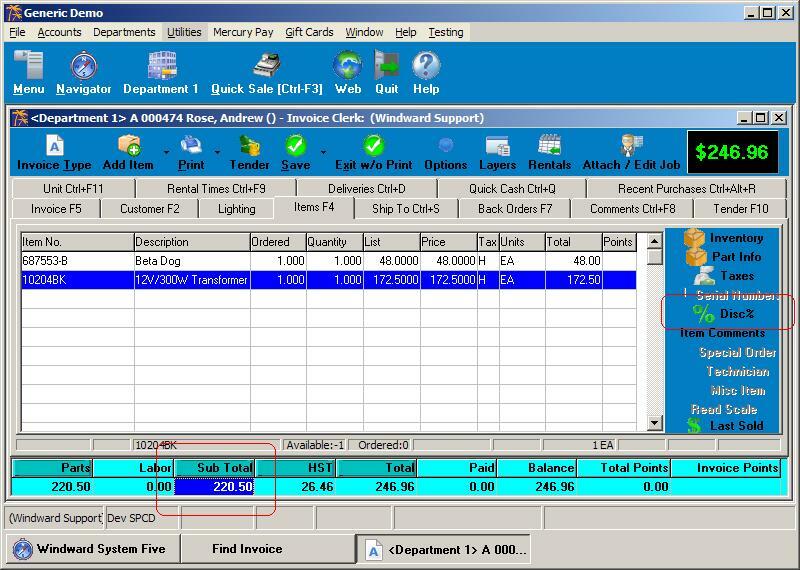 Click the sub-total box as indicated in Figure 1 to bring up the invoice profitability panel shown in Figure 3. This panel allows adjustments to the %Discount, $Discount, New Price, Profit and Margin invoice subtotal amounts.